Keep your home in tip top shape with a little help from these home care tips. 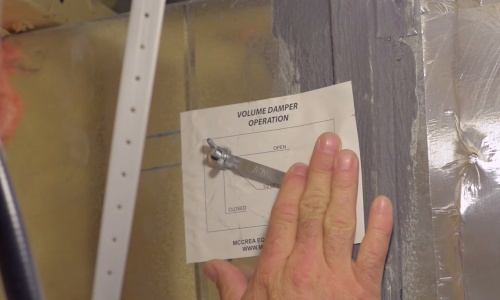 Rich Gehman walks us through the process of caulking your shower. 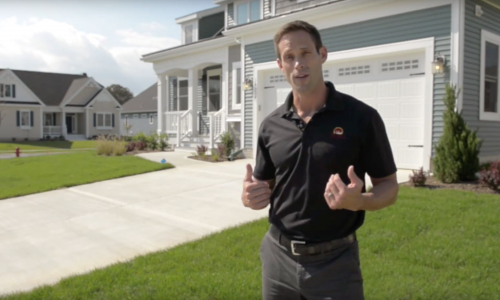 Bobby Gross from Overhead Door Company walks us through the process of operating and maintaining your garage door. Make sure to winterize your irrigation system. Remove hoses from exterior faucets. 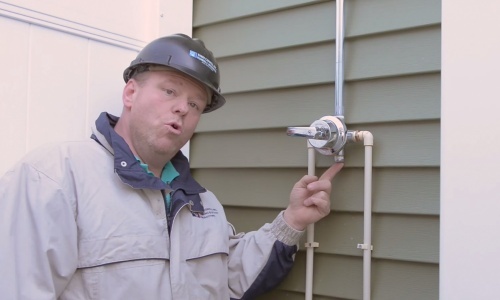 “Freeze proof” faucets suffer a broken water line if the water in the hose freezes and expands into the pipe. Remove ceiling fan blades for outdoor ceiling fans if applicable. Check foundation, concrete, and yard for settling; fill in as needed for positive drainage. 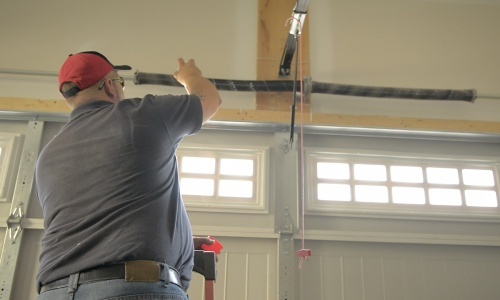 Check garage overhead door, tighten bolts as needed, and lubricate springs with a medium weight oil. 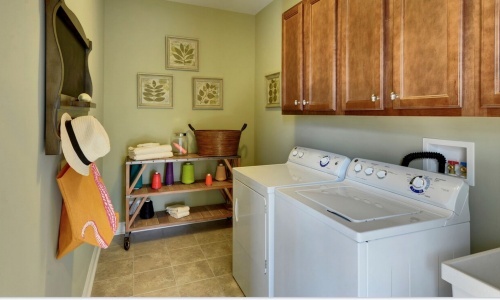 Have other repairs done by professionals. The damper is located above furnace and controls air flow to different parts of your house. In the summer time, its advised to close the damper off on the main trunk line off about half way to push more air flow to the upper level of your home. In the winter time, you'll want to open up the damper, so to restrict air flow to the up-stairs, so the upper floor doesn't get too hot. Adjust or replace weather stripping on exterior doors as needed. Check the fit of exterior doors; thresholds are adjustable—use a quarter to turn the screws. 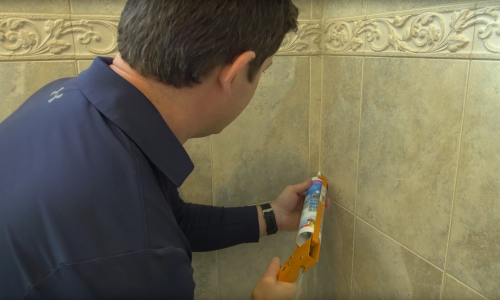 Check caulking, inside and on exterior of home, and touch up, especially around exterior doors and windows. Clean gutters, check downspouts; confirm that splash blocks and extenders drain away from the house. After snowfall, brush snow off gutters and away from downspouts. Remove ice and snow from concrete promptly; do not use de-icing agents with damaging salts. Decorate safely for the holidays. Do not overload circuits or use worn extension cords. Remove lint from dryer exhaust vent with a long, flexible brush. Check crawl space and basement insulation, making sure it is secure. Check sump pump, making sure its operational and free of debris. 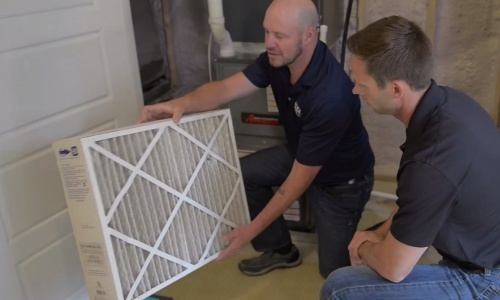 Change or clean the furnace filter. Adjust registers and confirm that cold air returns are clear of furniture or draperies. Check manual damper for appropriate seasonal setting within crawl space and basements. Have furnace/heating system serviced annually. Maintain comfortable heating levels between 68º F to 70º F, but no less than 60º F for extended absences from home. Clean and test smoke alarms and carbon monoxide detectors. Test and reset ground fault circuit interrupters (GFCI) breakers. Review safe fireplace operation. 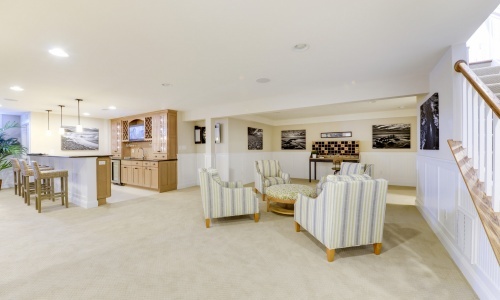 Provide professional cleaning at regular intervals.